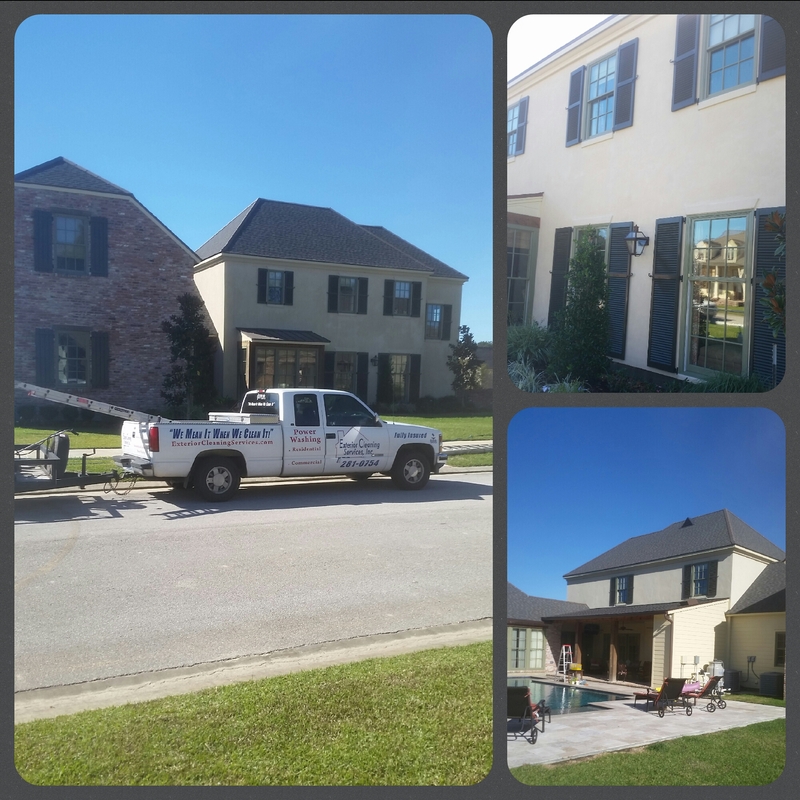 Today we had the pleasure of washing this beautful home in Lafayette, LA. Prior to washing, the stucco and windows on the front of the home had quite a lot of algae growing on them. It was time to take action and restore this home to its original beauty! After we cooled off all the surfaces with a gentle spray mist and thoroughly wet the landscaping, we gently applied our house wash solution comprised of bleach and Dragon Juice, a powerful yet safe, house wash detergent. After allowing the house wash to dwell for a few minutes, we applied another treatment, and then a third. Once all of the green algae was removed, we gently rinsed all the surfaces to reveal the original beauty of this gorgeous home. 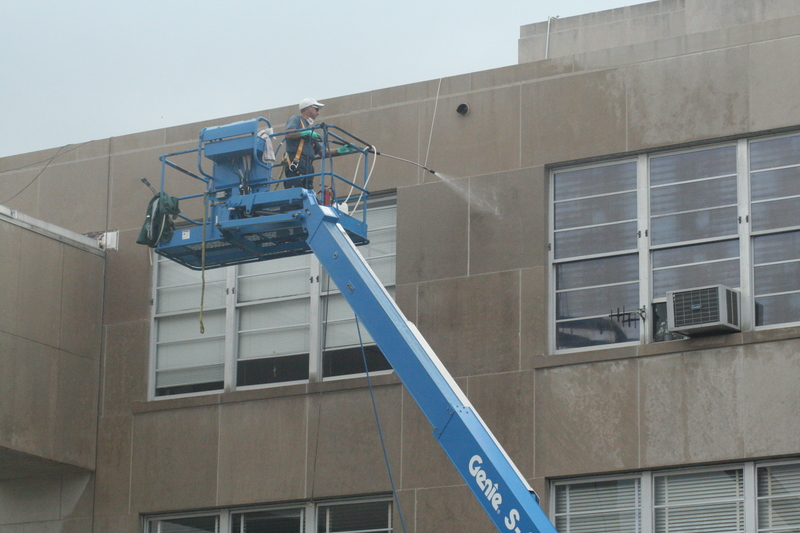 As a final touch, we scrubbed the windows with a soft brush to ensure all the algae was removed. If you look closely at the upper right picture of the collage above, you can actually see a great reflection of the home across the street! The reflection in the window is a reflection the caliber of our work and the effectiveness of Dragon Juice. 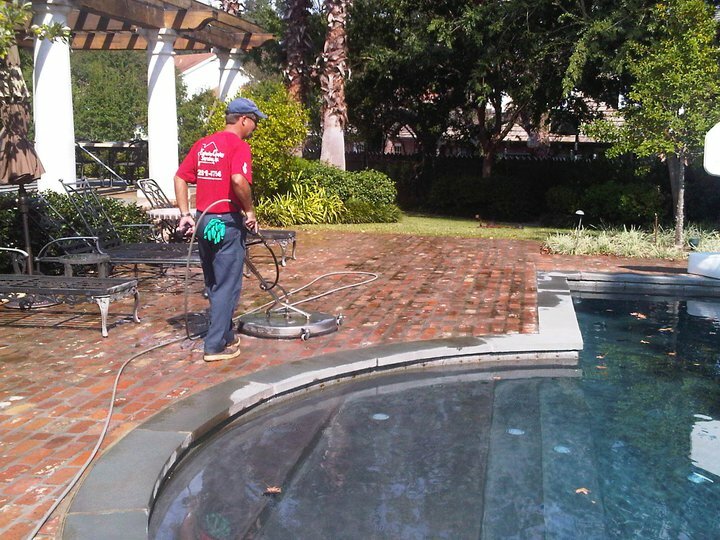 Click here for a quote for pressure washing anywhere in Acadiana. 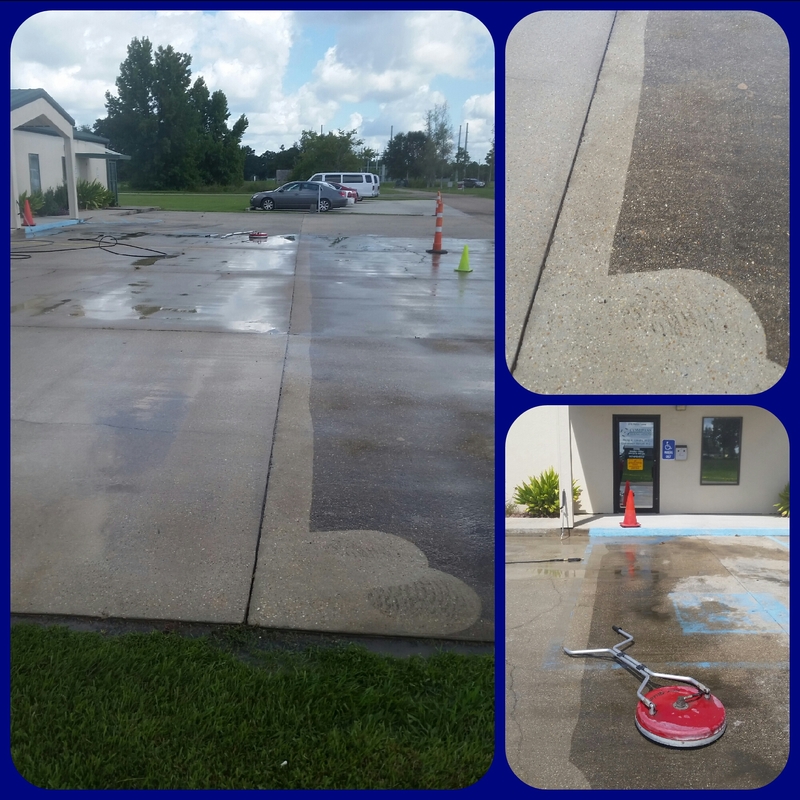 Exterior Cleaning Sevices specializes in concrete cleaning in Lafayette Louisiana including driveway cleaning, sidewalk cleaning, and parking lot cleaning. The first step, I believe, is having the courage to identify the disability, which for many of us has not been any physical disability, but more of a “thinking” disability in which we have told ouselves false stories about our situations. 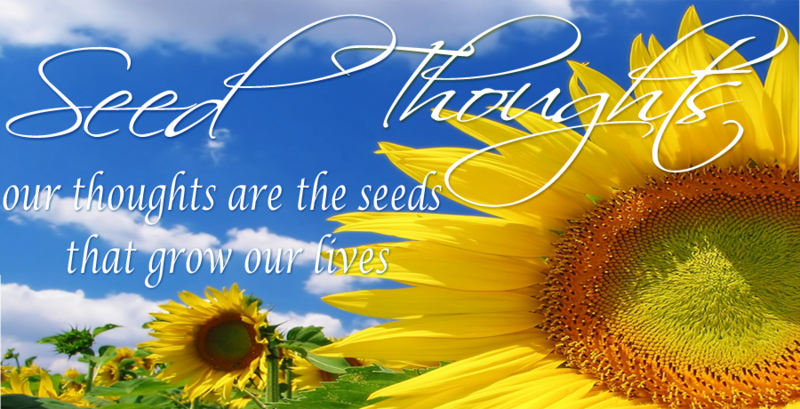 Dr Wayne Dyer referred to this type of “stinking thinking” as “mind viruses”. So lets all be courageous and innoculate ouselves! By changing our thoughts we will change our lives. Amen! We feel so grateful and blessed to have made it through all of this adversity and could not have done so without a commitment to hard work, excellence, perseverance, delivering great value, and great customer service. We thank God, our present, past, and future customers, our suppliers, and of course family and friends who have helped us achieve this accomplishment. 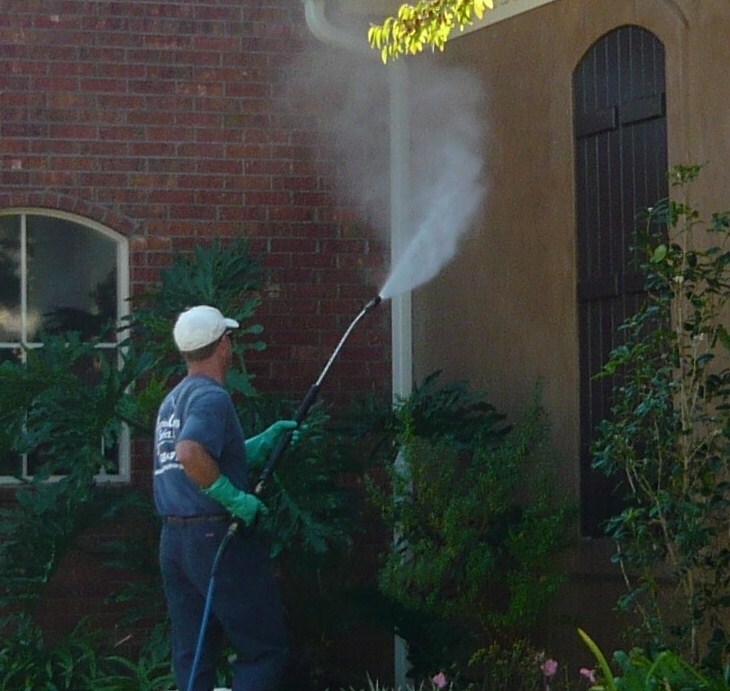 Click here for more information on Exterior Cleaning Services. 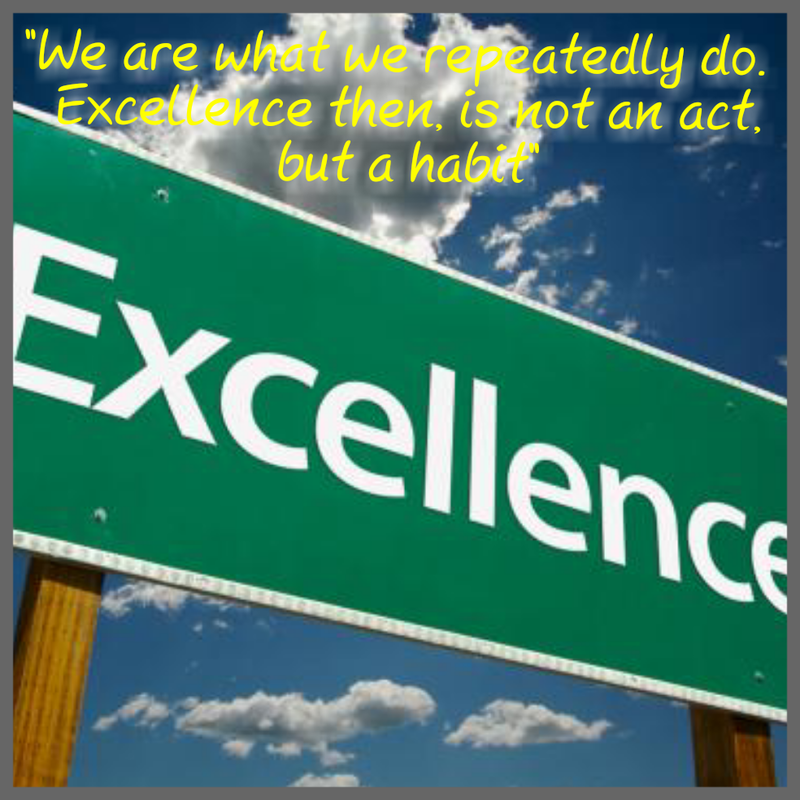 Today I was looking for a picture representing excellence because I believe so strongly in it and always strive for it. I wanted to add a wonderful quote to the picture, and my search led me to a very fitting picture and a great article. The picture above is all I wanted to accomplish at first, but searching and reading the article led me to the following thoughts. 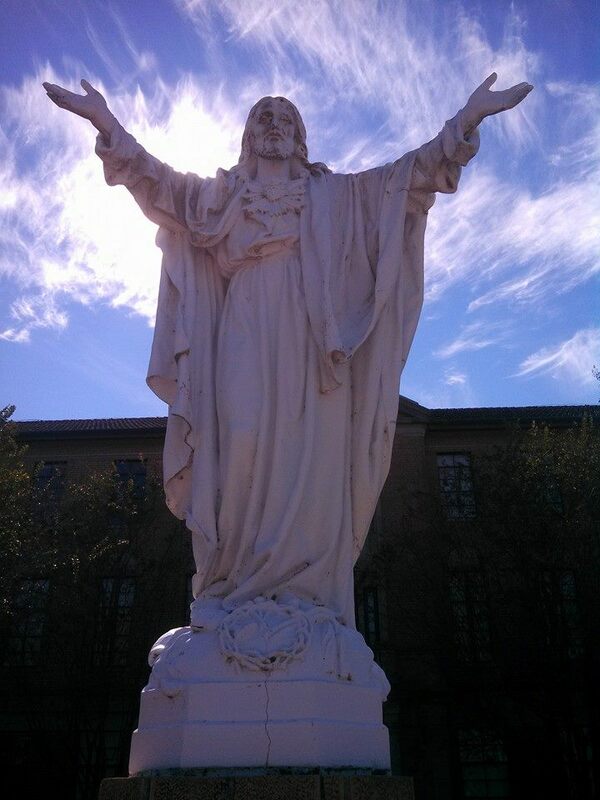 I think excellence is somewhat like prayer. In its most powerful and effective form, it is often private and remains known only to the individual practicing it. Yet its fruit is almost always apparent to those fortunate enough to encounter it, even though the source of it is unknown. And so I shall continue on my quest to achieve excellence. At times I will make that quest known because I think it is important for customers to understand what I believe in and the caliber of the service I deliver. But the reality is that actions do speak louder than words, and so I will also continue in action, as I say on my website, “to strive for excellence in all that we do”. I pray you have an EXCELLENT day! Great Thoughts, Great pressure washing! Good Morning. I came across this quote this morning and felt compelled to share it with you. I hope it helps your weekend get off to a great and positive start! Think well my friend. So….. I THINK I will have a great year of cleaning for many, many customers and they will be extremely satisfied. I think I will do more pressure washing than in any other of the 15 years I have been in business. And I will have a BLAST doing it! Each day begins the same way for me. First I make a few cups of coffee which is usually followed by a quick cleaning chore such as washing a few dishes, sweeping the kitchen floor, or starting a load of laundry. And of course I have to let our family dog out to take care of a little business of her own. Soon after the coffee is done and I have poured myself a cup, I enter the living room. My spirit awakens as I enter and open the curtains to let God’s light in, both figuratively and literally. As my spirit awakens, my entire being understands what is about to take place in eager and joyful anticipation. After turning on my peaceful mood music, I sit in my favorite chair next to a small, round table on which rests four books I read daily, and I begin. which I follow with the Holy Bible verses referenced in Jesus Calling. After contemplating and meditating on these readings, I read Courage to Change. Recently I added a fourth book to my routine called Around the Year with Emmet Fox which was given to me by a wonderful friend who is also deeply spiritual. I thoroughly enjoy and rely on my daily routine, so much so that it is first on my personal mission statement. Some days the readings are refreshing and encouraging and put me in a great frame of mind to begin my day. But there are some days when the readings have a much more profound effect on me and stir an awakening deep in my soul which often causes me to pause even more so that I am able to completely absorb the meaning and purpose of this important awareness. The catalyst for these wonderful experiences is often an alignment of two or more of my readings which confirm or complement one another. It is at these times that I know I must pay close attention to what I am reading. Sometimes the readings align on the same day and sometimes they do not. 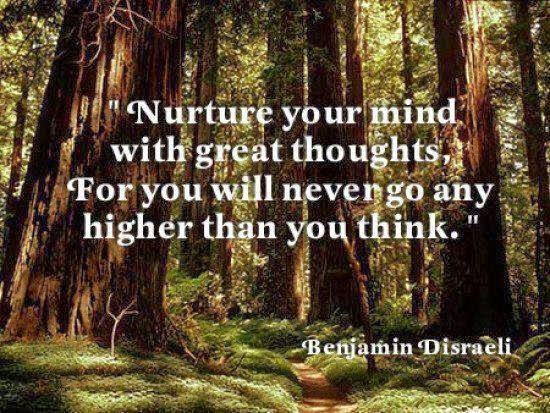 Yesterday I read and posted this wonderful quote from Around the Year with Emmet Fox on Facebook : “What you think upon grows…Whatever you allow to occupy your mind, you magnify in your own life…. The more you think about…injustices you have suffered, the more such trials will you continue to receive; the more you think of the good fortune you have had, the more good fortune will come to you.” Today in Jesus Calling I read: “I am renewing your mind. When your thoughts flow freely, they tend to move toward problems.” The next reading today came from the Holy Bible, Romans 12:2: “…be transformed by the renewal of your mind…”. Continuing the alignment was Courage to Change with this reading: “My thoughts are my teachers. Are they teaching me to love and appreciate myself and others, or are they teaching me to practice isolation? Today I will choose my teachers with greater care.” Wow! Now that is a powerful confirmation of our ability and the necessity for us to control and renew our mind by controlling its thoughts. And so these are my thoughts on thoughts. They are not originally my thoughts, rather they are the thoughts of the authors I choose to read, authors who have likely chosen to adopt them as their own from something they read or heard or in some other way had revealed to them. But I too have chosen to adopt them as my own, and they undoubtedly renew my mind. 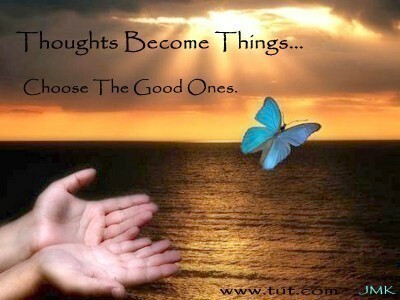 In closing, I am reminded of another important quote on thought control: “change your thoughts, change your life.” Amen! January is always a difficult month for my pressure washing business. It would have been much slower this month had I not chosen to utilize several marketing tools. Taking these steps confirmed what I have been sharing with others for years: it is crucial to utilize a variety of marketing tools, and no one method is significantly more effective than another. It has proven crucial for me to implement this strategy in order to generate sales for pressure washing in Lafayette, LA. For the month of January, these various marketing tools accounted for 65% of my residential pressure washing sales. Here are the methods I used. All of them worked fairly well, and no one method seemed to be significantly more effective than any other one. One method which almost always works is direct mail to current customers. I simply mail a postcard to customers who I have worked for over the last year or two. Occasionally I also mail these postcards to customers who I have not heard from in over two years. Another method that I used was to email a coupon using Constant Contact. I created the coupon on the offer tab. After I sent out the offer, I shared it on Facebook and Twitter. Then I asked a few friends who I had emailed it to, to share it on their Facebook page and to also forward it to their entire email contact list. Using a normal email from constant contact does not allow recipients to as easily forward the email, so using an offer is more effective in reaching potential customers outside my own contact list. Once the offer appeared on my Facebook feed, I did a Boost Post which allowed me to reach over 7000 additional people. Equally effective was creating a post on Facebook and then using the Boost Post feature again. I was able to target my audience by city, gender, and age group which allows me to reach precisely who I want to. This great feature allows me to generate different types of posts targeting different groups of potential customers. Of course all of these included links to my website for Exterior Cleaning Services, Inc.